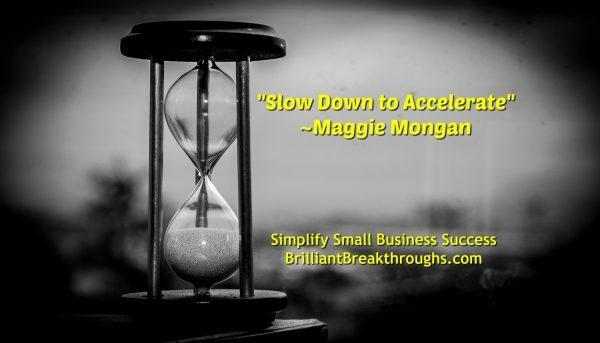 Slow Down to Accelerate Small Business Success - Brilliant Breakthroughs, Inc.
Do you slow down to accelerate your success on a daily basis? “Slow Down” defies all logic to become more successful, especially when you are hungry to make traction! Yet this could be the one piece of wisdom between you and YOUR Business’s Performance skyrocketing. Lately our posts have been filled with topics of The Power of Not Winging It, 3 Phases of Preparing, and The Purpose of YOUR Business’s Customer. Each of these business strategies alone effectively supports Small Business Success. 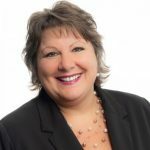 Amazing things happen when Small Business Owners (SBOs) simultaneously practice these strategies. A by-product of compiling these strategies into practices is that SBOs automatically slow down and their success soars! Practicing this quote – truly putting it into action could mean the difference between YOUR Business Performancing mediocre or sky-rocketing! When you slow down, you tend to be more methodical or pragmatic in your thinking. This is a great asset for SBOs. Slowing down gives you space to think through all necessary aspects of your situation. This brings further clarity regarding what is necessary to shine brightly. Once you have that wisdom, you wisely go into action to support your successful outcome. Remember: Giving yourself ample time between appointments or before projects for proper planning and preparing will give you the upper hand. Do you slow down enough to secure YOUR Success Rate? TIP: This is a simple strategy to incorporate into your daily routines. Keep this practice as simple as possible. WARNING: I know most of you are going to either blow off this success strategy and tactic or complicate it to render it ineffective. Don’t do either. Just do it as described. The simplicity is where the success factor lies. Are you going to practice learning how to Slow Down to Accelerate Success this month? If so, please share how this is impacting Your Performance. p.s. When you slow down you have better vision to see what’s necessary. Then, you can act appropriately.